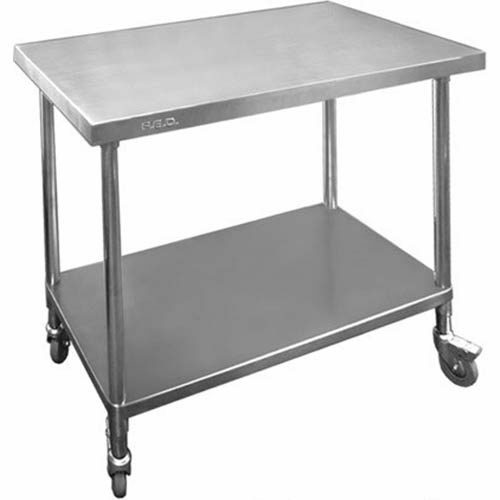 Commercial 304-grade stainless steel work benches, ideal for pretty much any commercial kitchen or prep bench to use. Easy to use and keep clean. Also, our range of stainless steel benches come in an enormous range of different sizes extending from a 600mm bench. All the way up to a huge 2.4m stainless steel workbench. Also, available in a depth of 600mm to 700mm as well, making the most of the convenient space in your commercial kitchen area. 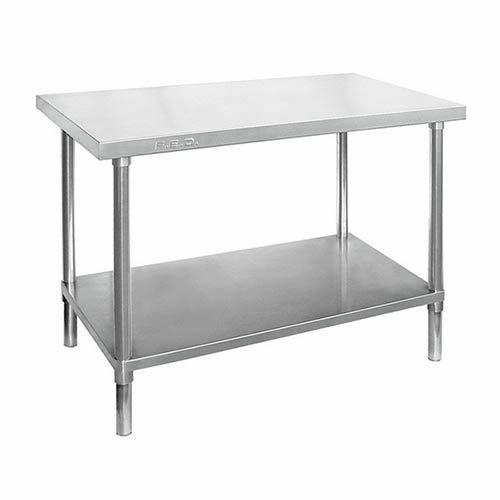 Most stainless steel benches come with a stainless steel undershelf, but you can also get these with a galvanised undershelf to save on costs. All stainless steel workbenches come with legs, but there are options to choose your bench with lockable castors if you need. Making it portable and simple to move around if needed. All stainless steel benches come flat packed for transport and are easy to assemble.